It was one of those special moments. 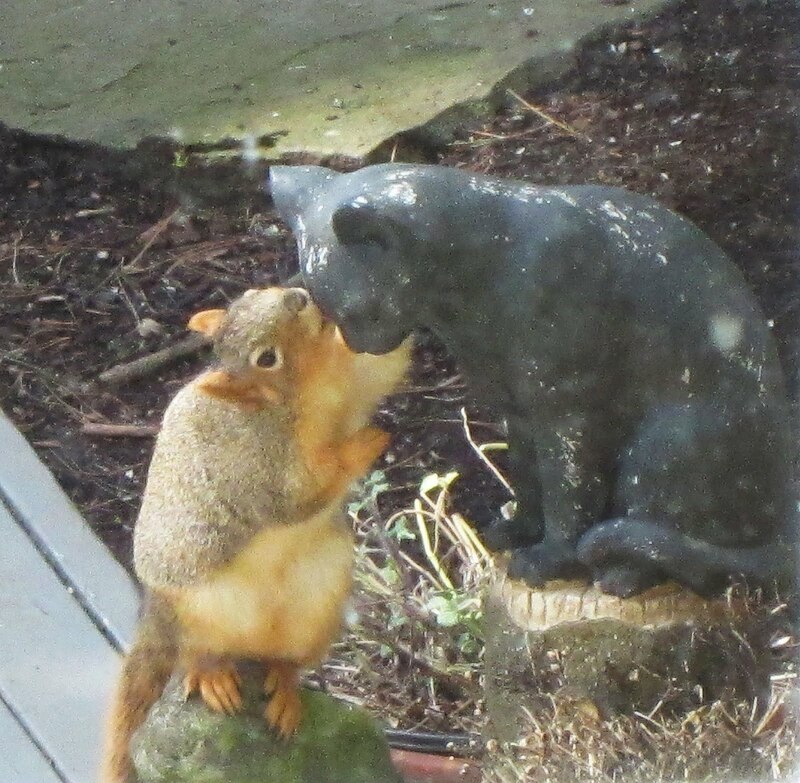 I happened to glance out the door just when a squirrel was trying to make friends with the cat statue on my deck. This beautiful sculpture was sent to me by my dear friend, Judy, after the loss of my black cat, Sammy. I ran to grab my camera and caught these cute photos through the window. It’s hard to see, but the squirrel is actually licking the cat. 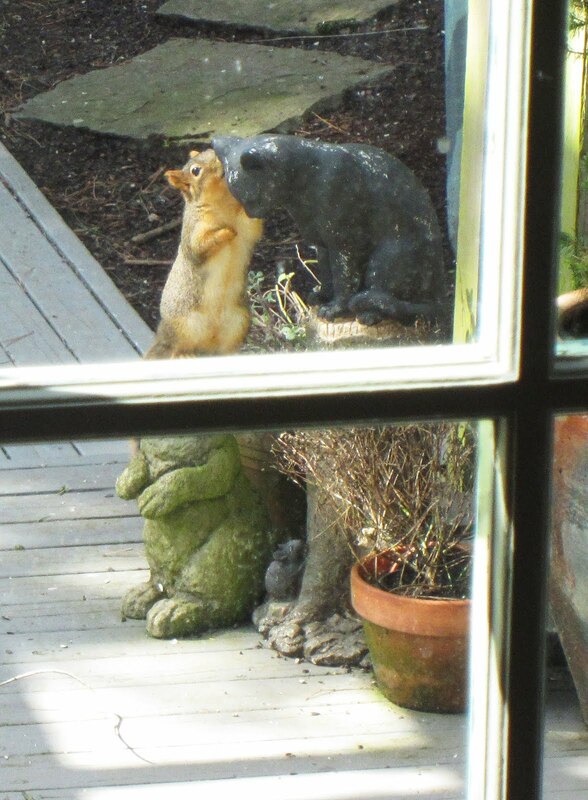 Maybe that’s how squirrels make friends! 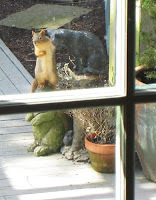 I know exactly what the squirrel is thinking here. 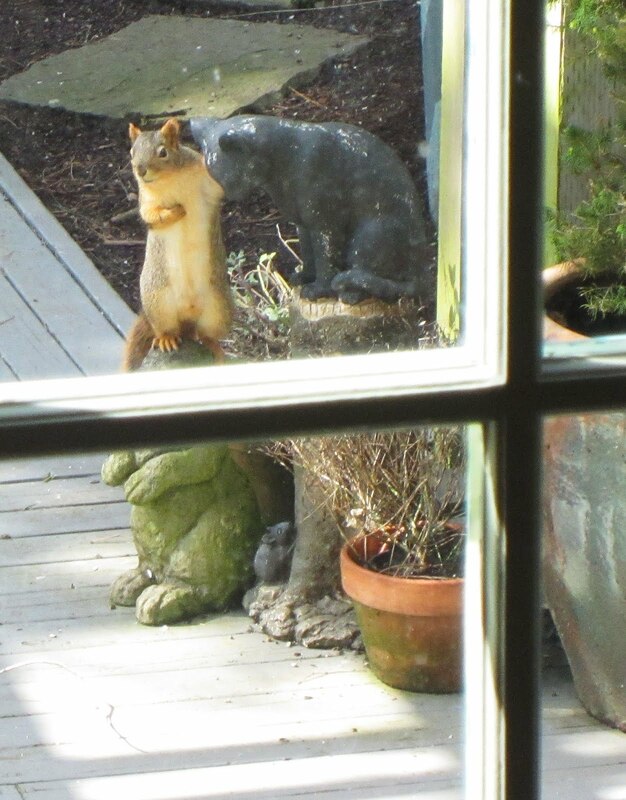 It’s interesting that the statue has been out there for many months, but this is the first time I’ve seen a critter pay any attention to it. I think Sammy is enjoying this from up above! Chris, I wouldn’t be surprised if the squirrel was Sammy, or sent by Sammy, to make you smile and let you know he’s okay. I’ve missed so many shots too, Allia. Wish I had several cameras I could stash around the house! 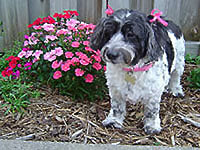 What a nice idea, Bernadette – perhaps Sammy DID have something to do with the squirrel!